When you produce the world's finest tungsten carbide performs you expect nothing but the best. 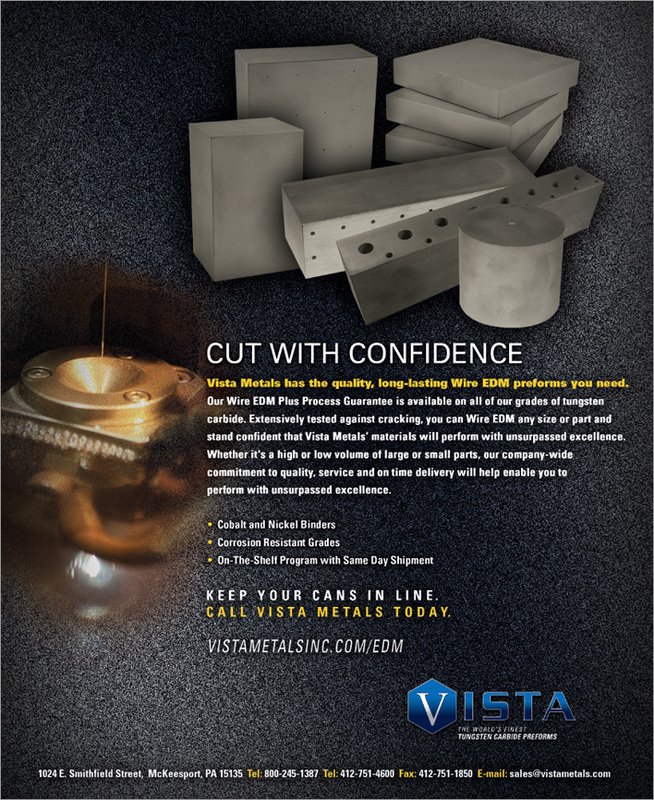 Vista Metals Inc. called on MJC's extensive industrial manufacturing background to produce a series of trade ads with a reenergized corporate identity. Individual trade ads were manufactured for specific industries. 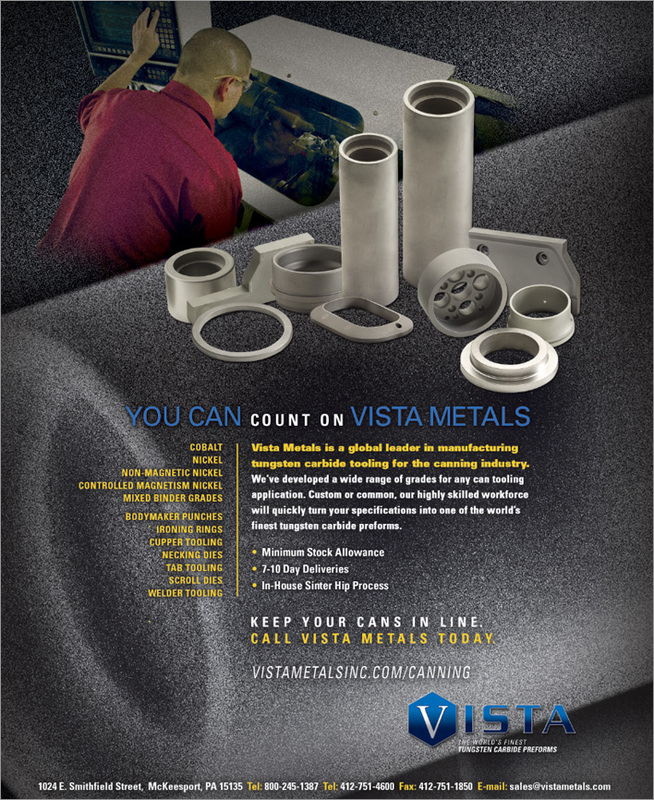 A corporate video, new corporate brochure, website and other marketing materials were implemented into a new branding campaign to help communicate to Vista's current and prospective customers.